When England headed to their Basque Country base of Bilbao for the 1982 World Cup in Spain, then manager Ron Greenwood had assembled a 22-man squad that boasted a wealth of both talent and experience. 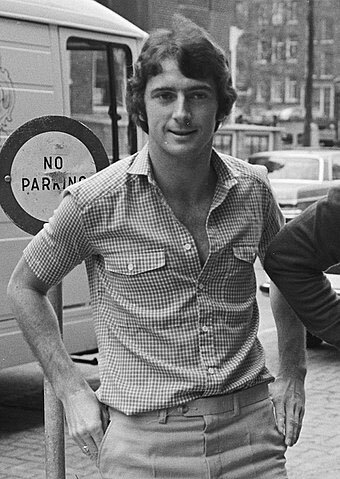 Amongst the forwards leading the attacking line was Trevor Francis, who despite being plagued by injuries, had still registered a creditable 12 goals in 26 appearances during what would be his only season with Manchester City, during the 1981-82 First Division campaign. Prior to the 1982 World Cup, England were expected to give a solid account of themselves, but having failed to even qualify for the previous 1974 and 1978 finals, they were hardly amongst the favourites. By comparison, ahead of the 2018 World Cup, many of the online bookmakers consider England to be a good outside contender to lift the famous trophy. For example, Ladbrokes and Coral are offering 14/1 odds for a Three Lions triumph in Russia, whilst bet365 and William Hill with outright odds of 16/1 are slightly less optimistic. As the current England side look ahead to the summer, fans are keeping a keen eye on World Cup betting offers for 2018 and the tournament in Russia, with Tottenham Hotspur striker Harry Kane expected to continue his superb individual form of the last few years, and is amongst the favourites for the Golden Boot. Meanwhile, back in 1982, Trevor Francis carried the same level of expectation and the hopes of a nation, because after all, he was the first £1 million man in English football, following his transfer from Birmingham City to Nottingham Forest in February 1979. Francis had excelled with Birmingham after making his breakthrough with the Blues during the 1979-71 Second Division season, and concluded his hugely successful eight-year period with the club with an impressive 25 goals in 42 league appearances, during the 1977-78 First Division campaign. He also wowed crowds across the pond in the USA with his scoring feats, netting 22 goals in 19 NASL appearances with Detroit Express during the summer of 1978. Nottingham Forest were getting a proven scorer to bolster their side. Nevertheless, life with manager Brian Clough was far from easy for Francis. Despite scoring 14 goals in 30 games during the 1979-80 campaign and gained two European Cup winners medals during his stay, he was often played out of position during 1980-81 and 1981-82 seasons by Clough, on the wing, rather than at centre-forward. Injury problems also hampered the amount his appearances and that, ultimately, led to Francis departing the City Ground for Maine Road and the move to Manchester City. Having missed out on the 1980 European Championships through injury, and even though there were doubts about his fitness ahead of the Spain 1982 World Cup, Ron Greenwood had no doubts about including a then experienced 28-year-old Francis in his squad. In the first group stage, England beat France 3-1 at the old San Mamés stadium in Bilbao, and whilst Francis didn’t score in that encounter, his movement continually unsettled the rival defence. Francis would make a vital contribution in the next two encounters, scoring once in a 2-0 victory against Czechoslovakia, then netting the decisive single goal in the 1-0 win against Kuwait, ensuring that England finished top of Group 4 with a perfect record and progress to the next round. Unlike the current format, the 1982 World Cup featured a second round of four 3-way round-robin groups, with England facing hosts Spain and eternal rivals, West Germany. Both were phenomenally difficult opponents boasting very stubborn defences, and though he played in both encounters, neither Francis or any of his teammates could find a way through the Spanish or German rear-guards. Both matches played at the Santiago Bernabéu in Madrid were 0-0 stalemates, and even though England remained unbeaten, a 2-1 victory for West Germany against Spain would see them top the final group standings and progress to the semi-finals. West Germany were eventually beaten by Italy in the final, with Paolo Rossi amongst their trio of scorers and finished as the highest scorer at the tournament with six goals. For England, their fans, and of course, Trevor Francis, all they could do was look on with envy and ponder at what might have been. To this day, it remains a remarkable statistic that England didn’t lose a single match at the 1982 World Cup in Spain, yet didn’t end up lifting the famous trophy.